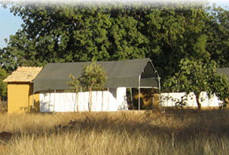 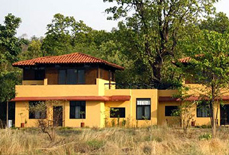 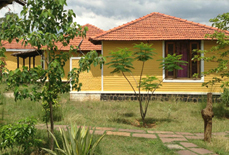 Tiger Trails Resort is widely spread over 11 acres of wooded land in Bandhavgarh National Park. 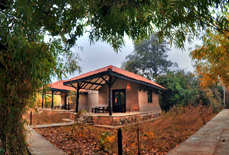 Being a good base for loving some mesmerizing moments with the wildlife, this resort brings beautiful cottages, exciting amenities, and thrilling adventurous activities, which merely grows the bliss of being with the wild. 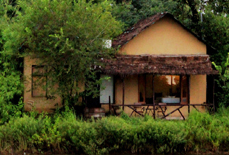 Enjoying unforgettable Jungle safaris, nature walks, trekking, bird-watching, and other outdoor activities are some of the interesting activities that draw wildlife enthusiasts to visit this resort. 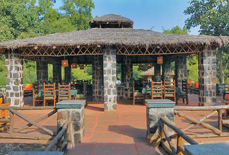 It's an ideal entrance to the world of enthralling wildlife that brings majestic dining hall overlooking the private lake. 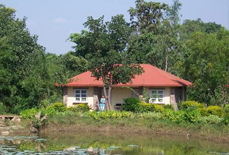 This lake view makes you closer to aquatic and bird life. 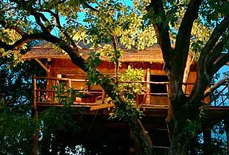 Wake up to the hammering of a woodpecker, walk around the wooded estate with the resident Naturalist. 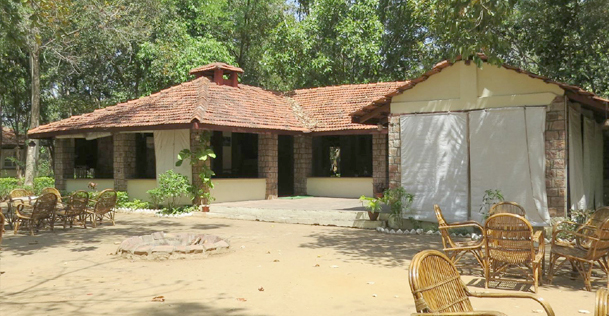 Walking around the wooded estate with professional Naturalist gives groundbreaking experience that is always cherished. 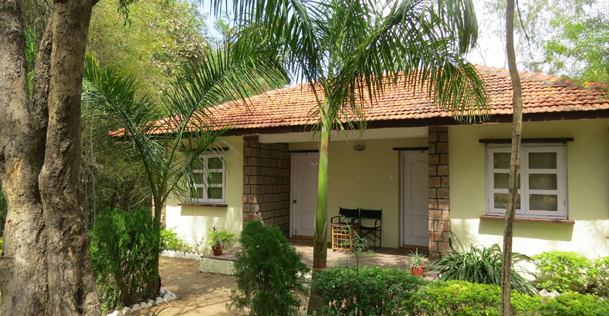 Accommodations: Tiger Trails Resort has well furnished 12 beautiful cottages that have gentle sloping tiled roofs outfitted with advanced amenities. 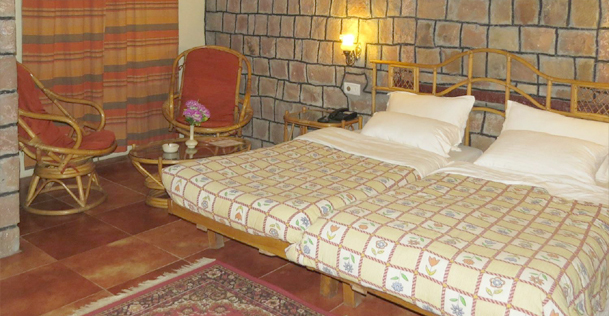 All air conditioned rooms are spacious with small private sitting area, storage spaces or cabinets (for bags/clothing) and an attached bathroom. 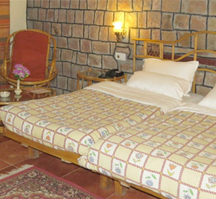 It's excellent facilities and luxury ensure splendid lodging. 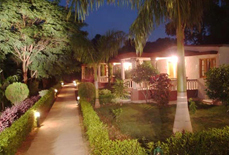 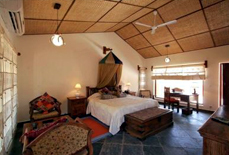 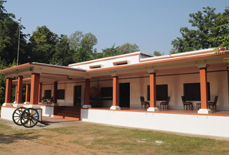 Tiger Trails Resort is located in the Tala Village that is very close to Bandhavgarh National Park (2 Kms). 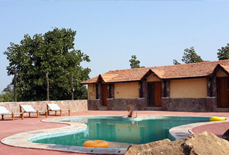 The location of this resort highlights the way towards Kajuraho (240 Kms), which is popular temple city of India. 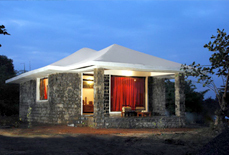 Never miss the chance to visit nearby areas of Umaria (35 Kms) while holidaying. 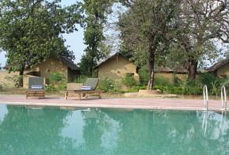 The resort fixes a trip for Jungle Safari, which is one of the most exciting trips in Bandhavgarh. 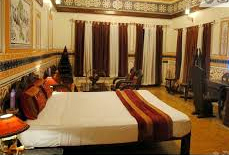 Some nearby attractions like Bandhavgarh Museum and Manpur Bazaar are must-see spots that should be explored while residing in this resort.